Second, we examine the arrest. Although, we have very little information; let’s focus on the “series of standard tests.” These tests are called Standardized Field Sobriety Tests (SFSTs). They include the Horizontal Gaze Nystagmus (HGN, or eye) test, the Walk and Turn (WAT) test and the One Leg Stand test (OLS). These tests are meant to be instructed and graded in a standardized manner and not following such standards will invalidate the tests. 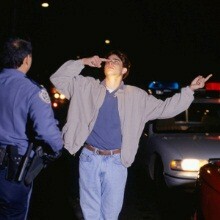 In Washington these tests, including the roadside breath test are voluntary and seldom should one agree to participate. The SFSTs are an opportunity for the police officer to gather evidence against you. Think about it, a world class multiple gold medal winning Olympic athlete was unable to perform them “satisfactorily.” One source even says he “bombed” them. So, how well do you think you would do, sober or not? Third, the BAC being twice the legal limit must be explored. In Washington, there are many defenses and challenges to the DUI breath tests. What does twice the legal limit mean for penalties in Washington State? Well, in Washington he would be facing a mandatory 48 consecutive hours in jail up to 364 days, possibly a $5,000 fine, a 1-year license revocation and other penalties and assessment. Fourth, what effect would a prior DUI conviction have? In Washington, Phelps would be facing second DUI penalties if the first conviction were within seven years. Since the first conviction appears to of occurred in 2004, Phelps would be subject to first offense DUI penalties. However, if convicted he probably would not expect minimum penalties. Also, since there is a prior conviction, he may be subject to an ignition interlock device as a pretrial condition (RCW 10.21.055). It is disappointing to read that any of our heroes is having trouble with the law. However, it is important to remember that they are innocent until proven guilty and also they are only human. Moreover, I hope Mr. Phelps hires an experienced DUI attorney and fights his charge every step of the way. It is very possible that a high profile case, handled correctly, could expose the problems with the prosecution and the potential conviction of many innocent people.